Also serving communities of Chillicothe, Waverly, Jackson. There are 3 Memory Care Facilities in the Lancaster area, with 2 in Lancaster and 1 nearby. The average cost of memory care in Lancaster is $3,599 per month. This is lower than the national median of $4,650. Cheaper nearby regions include Grove City with an average starting cost of $3,285. To help you with your search, browse the 1 review below for memory care facilities in Lancaster. On average, consumers rate memory care in Lancaster 3.0 out of 5 stars. Better rated regions include Gahanna with an average rating of 5.0 out of 5 stars. Caring.com has helped thousands of families find high-quality senior care. To speak with one of our Family Advisors about memory care options and costs in Lancaster, call (855) 863-8283. In 2018, there were about 220,000 Ohioans with Alzheimer's disease, and that number is projected to grow to a quarter of a million by the year 2025. In Lancaster, where seniors age 65 and up account for just over 17 percent of the city's 40,280 residents, two memory care facilities are available to serve seniors who have Alzheimer's disease or another type of dementia. To give families in the Lancaster area more options, 16 additional memory care facilities are located in nearby towns such as Grove City and Gahanna. The Ohio Department of Health licenses memory care facilities in Lancaster and throughout the state. Officially, the state calls these facilities residential care facilities, or RCFs. Often, these memory care facilities are special units within larger assisted living communities. Lancaster's low cost of living may allow to seniors with dementia to stretch their budgets further and make memory care more affordable. On average, goods and services in Lancaster are about 8 percent cheaper than elsewhere across the country. 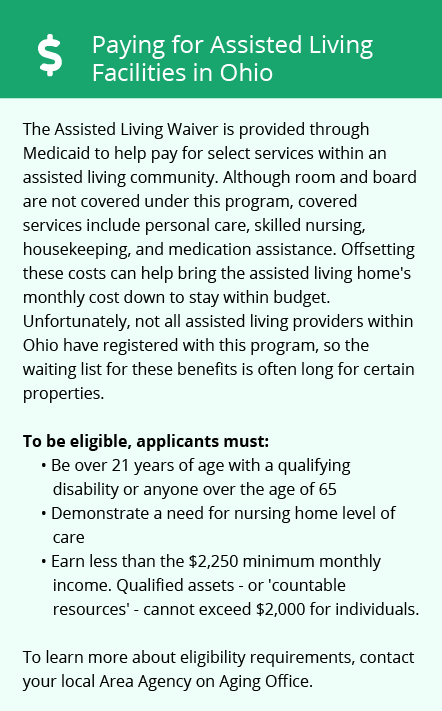 Thankfully, Ohio has several special tax breaks in place for seniors. Importantly, the state exempts Social Security retirement benefits. It also allows eligible seniors to claim a credit on other types of retirement income. Lancaster is not one of the safest communities in the U.S. In fact, violent and property crimes occur in Lancaster at rates above national and state averages. The odds that a senior will be the victim of a crime in Lancaster are about one in 20. The weather in Lancaster can be tough on residents at times, especially seniors, who may be at a higher risk of experiencing discomfort or health problems caused by extreme temperatures. Summers in the city are hot, with average July highs around 84 degrees Fahrenheit, and winters are cold, with January lows of about 20 degrees Fahrenheit. Memory Care costs in Lancaster start around $3,599 per month on average, while the nationwide average cost of memory care is $4,800 per month. It’s important to note that memory care rates in Lancaster and the surrounding suburbs can vary widely based on factors such as location, the level of care needed, apartment size and the types of amenities offered at each community. To see a list of free memory care resources in Lancaster, please visit our Assisted Living in Ohio page. 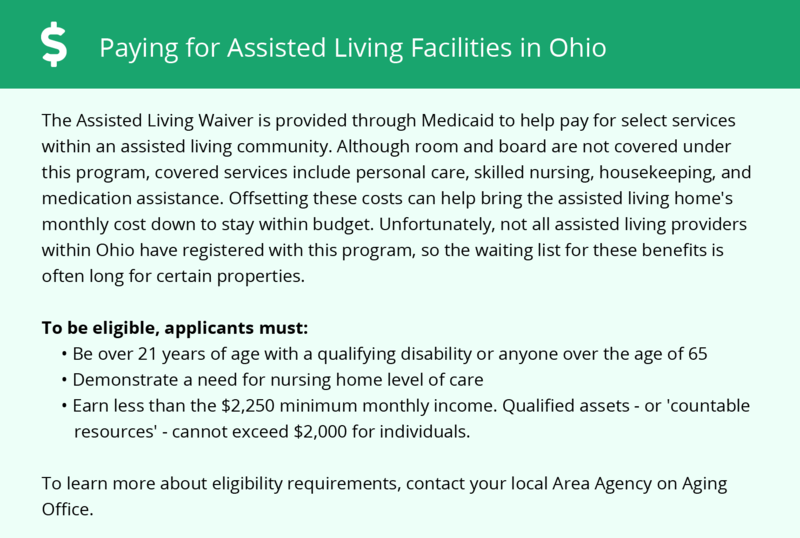 Lancaster-area assisted living communities must adhere to the comprehensive set of state laws and regulations that all assisted living communities in Ohio are required to follow. Visit our Memory Care in Ohio page for more information about these laws.